Why pay for products that you don’t use? Home builders often throw away cut-offs or materials damaged by the weather. 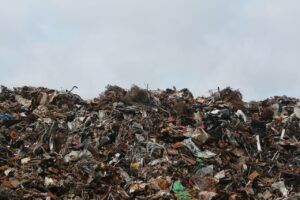 Hundreds of millions of tons of construction waste ends up in the landfill every year. 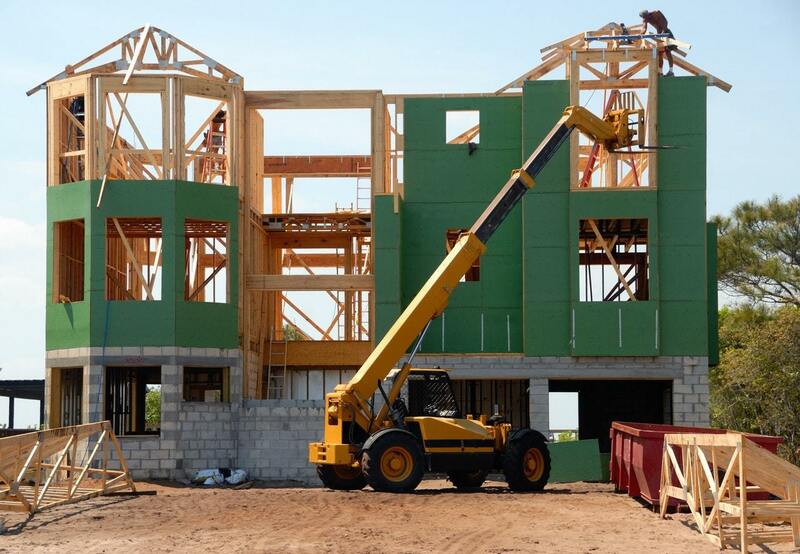 Despite recycling efforts, the EPA states that 40% of the solid waste in the U.S. comes from home building sites – traditional, stick-built homes. Why? Because building a single home at the job site is inefficient. One study by the National Association of Home Builders estimates that 8,000 pounds of waste material gets sent to the landfill when building a single 2,000 square foot stick-built home. Some builders will attempt to recycle but it’s hard to justify the cost of two separate containers at a job site, the time it takes to sort the waste, and the cost to haul each container away. Plus, it is often easier to cut a new board stacked right next to you rather than to walk to the other side of the construction site to repurpose an already cut board. Purchasing lumber cut to length to avoid excess or unused wood. Buying pre-cut flooring according to room size, so it doesn’t require trimming. Reducing packaging waste by making bulk product purchases. Water and the sun don’t damage materials because the modular home construction occurs inside. If any of the materials don’t meet quality standards, then the manufacturer can return them to the supplier. On a location build, sub-standard materials often find their way into the dumpster. Traditional builders pass that cost along to you, the homeowner. Modular home builders find uses for scraps rather than tossing them in the trash. A lot of time, materials, that weren’t used on one build can be transferred to another. On a traditional construction site, all waste generated by the job gets chucked into the same dumpster. In the modular home factory, there are specific-use dumpsters along the production line. This allows workers to sort reusable items from the true construction waste and repurpose it. Following these practices for the reduction, recycling, and reuse of waste items, the modular home construction process makes a solid effort to achieve green construction. Modular home builders find uses for scraps rather than tossing them in the trash. If they can use the leftover material on another build, they will. All of this allows them to pass a SAVINGS to the homeowner, as opposed to extra costs. On average, you can expect a modular home to cost about 15% less than the same floorplan built in a traditional manner. The reason for this is that building in a controlled factory environment means less construction waste. Like stick-built homes, a modular home increases its value over time. For all intents and purposes, a modular home does not differ from a stick-built home except for where the building takes place, so lower building costs translate into more equity from the beginning. If you plan to build a home within 75 miles of Goshen, Indiana, then you need to call Next Modular. Compare prices and learn how you can customize just about any floor plan. Don’t let construction waste drive up the cost of your dream home.